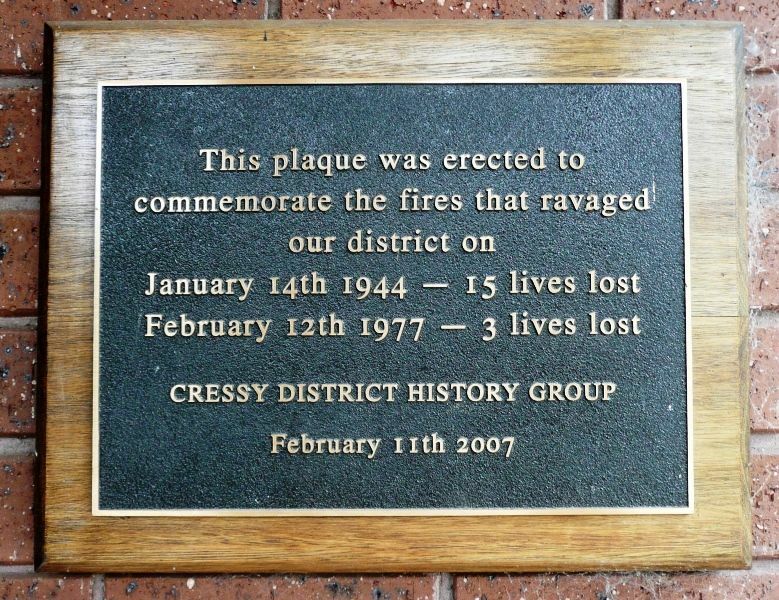 A plaque commemorates the bushfires which devastated Cressy and District in January 1944 and February 1977. The ‘Cressy fires’ in 1977 started in Wallinduc, spreading south and east through Werneth and then Cressy. Three people died in the fire, which burnt 39,200 hectares of land. The fire destroyed 10 homes in Cressy as well as a garage, fuel depot and two halls.